#1 Did you guys enjoy the first week of Blogmas? Honestly, I feel like I can do better. I've been having difficulties with my pictures and it's been really getting to me. I've taken photos at different times of the day to try to find the perfect lighting to cooperate with me (I use natural lighting) but I've had no luck. Even with editing, I don't like how anything is coming out. Maybe it's just me being too critical at myself. If you guys have any tips let me know. #2 If you would like to see a blog with amazing Blogmas posts then go check out Little White Socks. Aycan has been killing it so far! I'm shocked her blog isn't that popular because it should be! Her entire blog is gorgeous and she has tons of amazing posts. My favorite Blogmas posts from her (so far) are Christmas mermaid stocking, vegan Christmas doughnuts, and DIY gingerbread house cushions. #3 This week I reached 200 followers on my Bloglovin! I know that may not seem a lot to those with thousands of followers but to me, it means a lot. I still remember when I only had 5 followers! I try hard to not let the number of followers get me but when you're trying to be a blogger or online influencer it can be difficult not to. #4 I posted my December rewards on Patreon this week. I only have one Patron at the moment but she's really sweet and motivates me. If you would like to join my Patreon, read more about the details here. #5 The other day I had my music on shuffle and Kesha's Rainbow came on and cried my eyes out! The song really comforted me at that moment. If you haven't listened to that song you really should. 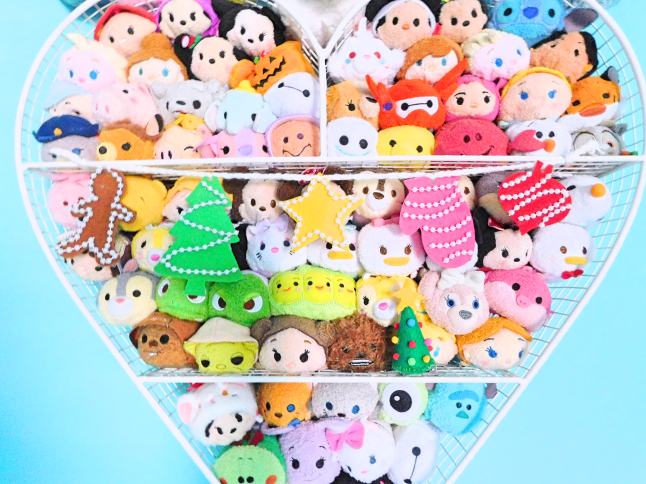 #6 I added some Christmas decorations to my Tsum Tsum shelf. I would give you a Christmas room tour but it looks exactly the same as it did last year minus some minor details.